Located in West London just 13 miles from Charing Cross, Hayes was historically part of Middlesex, but nowadays is in the London Borough of Hillingdon. It has a population of over 95,000, and a thriving property market thanks to its excellent location. At My Home Move Conveyancing we’ve been developing our knowledge and expertise of markets like in Hayes since 2001, allowing us to offer our clients in the area a specialist, fixed fee conveyancing service. You’ll need to instruct property lawyers to complete the legal work on your behalf when buying or selling property in Hayes. 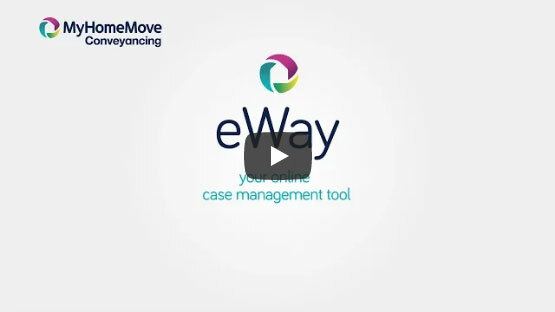 By choosing My Home Move Conveyancing to be your Hayes conveyancers, you can make the most of our award winning customer service, which we combine with an innovative use of technology to deliver more completions per year than anyone else. Our conveyancing service comes for a fixed fee, so there are no hidden costs to worry about, and you can plan exactly how much you’ll be paying from the outset. Moreover, if you don’t end up moving for some reason, you won’t have to pay us anything. We assign all of our clients a dedicated conveyancer, who’ll act on your behalf from start to finish, providing you with regular updates on the progress of your case. You’ll enjoy a consistent point of contact, and a high level of expertise every time. At My Home Move Conveyancing we’re pleased to supply our professional conveyancing services in Hayes to homebuyers across the local area, from those looking for something close to the centre of town, in Hayes End and by one of the local train stations. The average house price in Hillingdon is £407,202, while the overall average sale price in Hayes during the past 12 months was lower than this at £323,525. In this period, most sales involved flats, which went for an average of £240,287. Semi-detached properties sold for £399,322, while terraces fetched an average of £357,787. Hayes is a town with a long history, stretching further back than 1086 when it was recorded in the Domesday Book. There’s a number of interesting landmarks in the area, including the Grade II listed St Mary’s church, which dates back to the ninth century. Home to a number of major companies’ UK headquarters, as well as being the birthplace of famous figures including George Orwell, Hayes is a hugely popular place to live thanks to its fabulous access to Central London and Heathrow Airport. Hayes is very well connected when it comes to transport. Hayes & Harlington station is to the southeast of town, and hosts frequent services to London Paddington which take just 20 minutes. Heathrow Airport is just to the south of Hayes, giving you perfect access for when you want to go on holiday. The M4, M25 and M40 motorways are all within touching distance of town too. Families with children will be pleased to hear that there are some excellent schools in the local area, including Hayes Park, Yeading Junior and Botwell House Catholic Primary for younger students. Guru Nanak Academy, Rosedale College and Hewens College all provide secondary education, while London’s wide selection of universities are just a short train journey away. All properties in Hayes will fall within one of the following council tax bands.